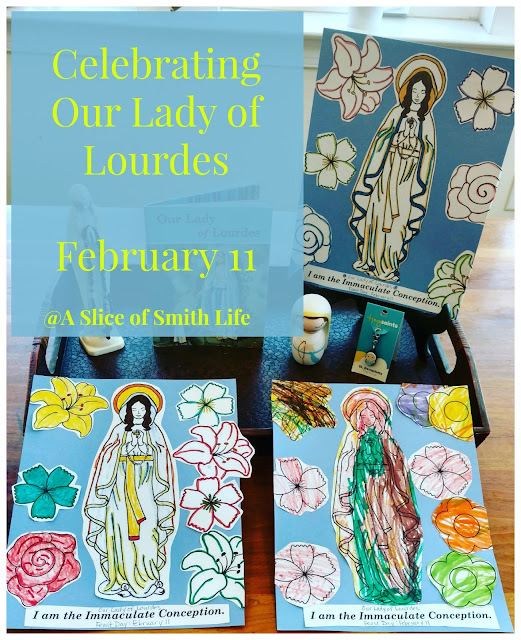 On February 11, the Church celebrates another beautiful feast day, Our Lady of Lourdes. This is one of my favorite Marian feast days because it commemorates the 18 apparitions of the Blessed Virgin Mary to Saint Bernadette Soubirous that occurred between February 11 and July 16, 1858 in Lourdes, France. 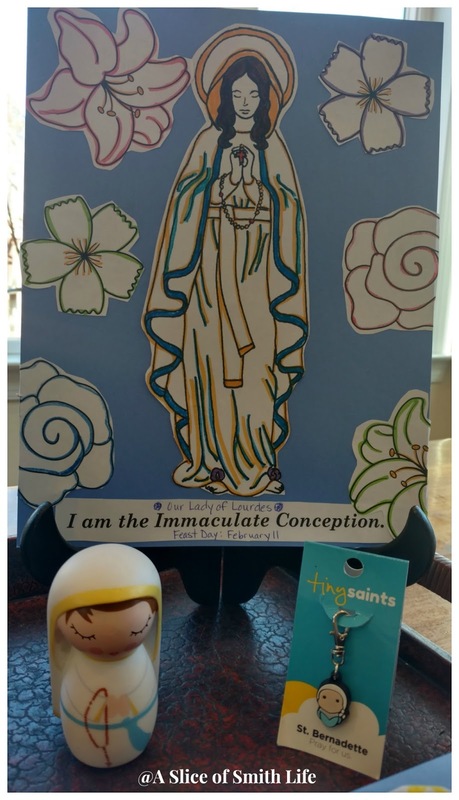 Our beautiful Lady eventually identified herself in an apparition on March 25 with the words, "I am the Immaculate Conception." If you aren't familiar with the story of St. Bernadette and Our Lady of Lourdes, you might be interested in reading 10 Things to Know About Our Lady of Lourdes and St. Bernadette. 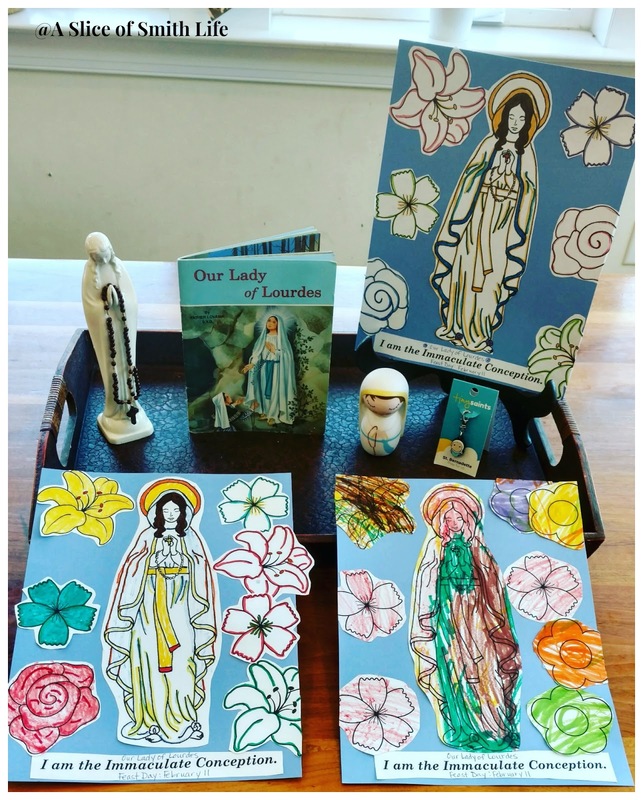 We celebrated Our Lady of Lourdes one day early with a simple craft due to a busy soccer tournament weekend for one of my daughters. My three younger children did the craft while my two older children were attending their science and government co-op classes for the morning. 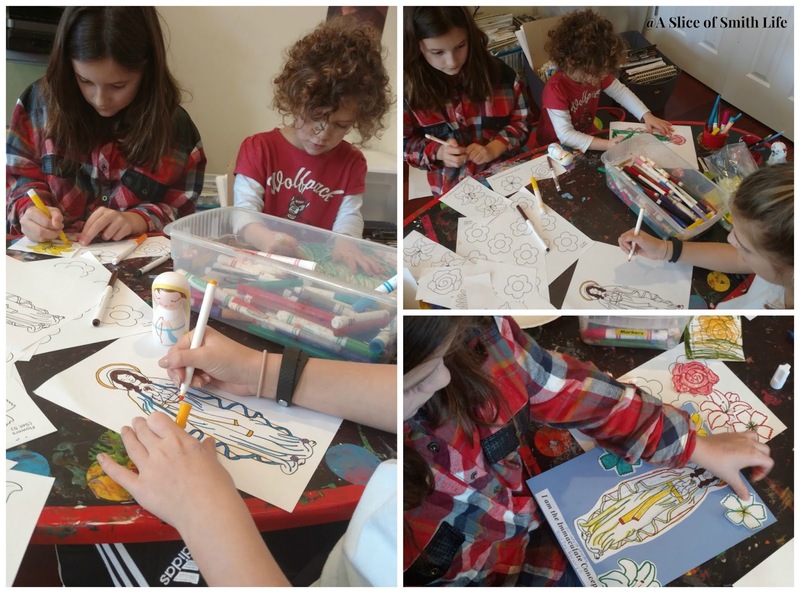 Last year we did a fun, simple craft as well so I wanted to find another activity that didn't take too much preparation due to our busy day. I found free printables of Our Lady of Lourdes and the flowers at Rosary Mom. 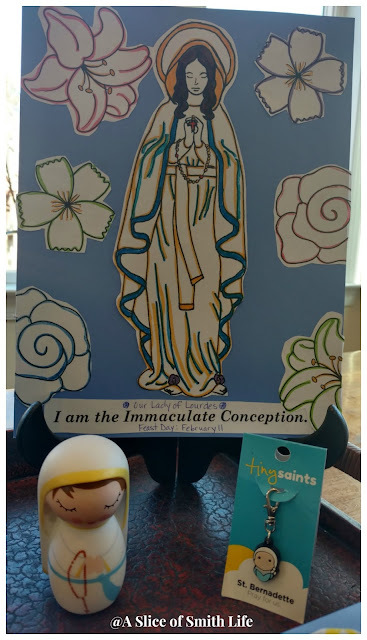 After coloring and cutting the pictures, my daughters glued them to blue card stock and also glued the words "I am the Immaculate Conception" to the bottom of their paper that I printed out in a word document. 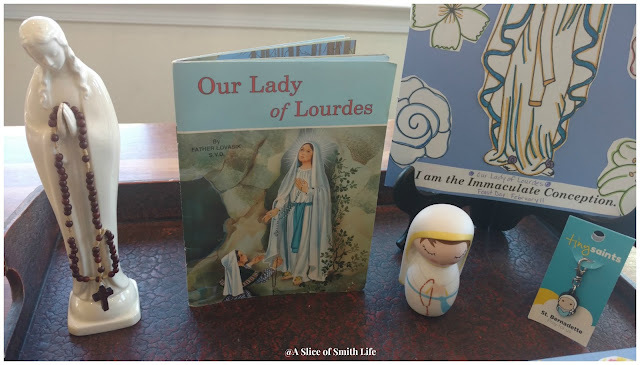 I then displayed their finished art work on our kitchen table along with a white statue of Mary that used to belong to my deceased grandparents, we read from the book Our Lady of Lourdes and from my favorite Saint book for children, Saints for Young Readers for Every Day, Vol. 1, and I put the Our Lady of Lourdes Shining Light Doll and St. Bernadette Tiny Saints charm in the tray. 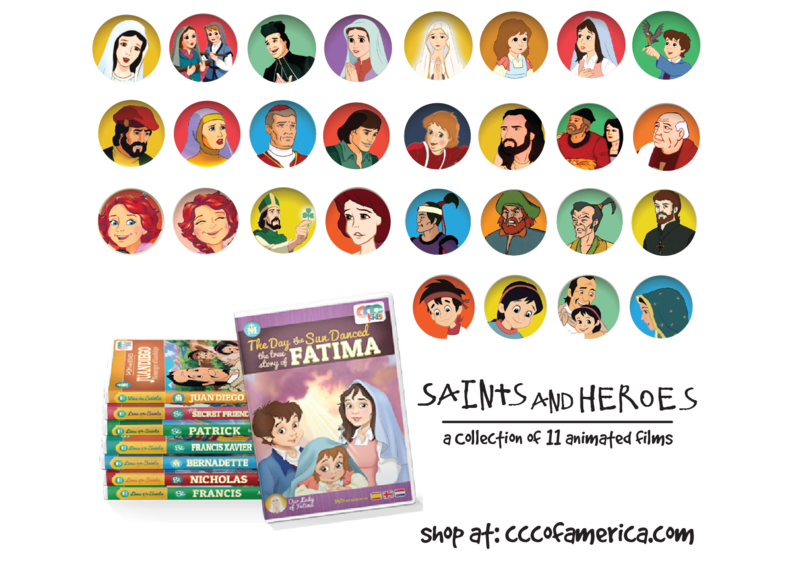 We also enjoy watching a family favorite DVD from CCC of America called Bernadette: The Princess of Lourdes. 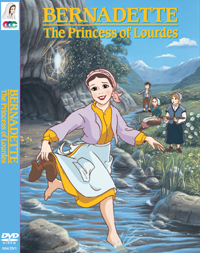 I'm amazed how well my children (and even myself) have remembered the facts about Our Lady of Lourdes from watching this animated movie over and over again through the years. 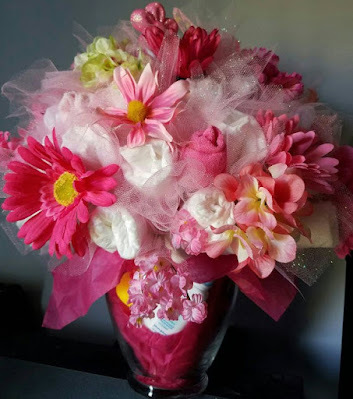 Maybe one year we will celebrate this special feast day with a Rice Krispie Treat Grotto like Lacy did at Catholic Icing or a Fruity Pebbles Grotto and other crafts or this grotto craft at Catholic Icing. Wow beautiful activities for Our Lady. 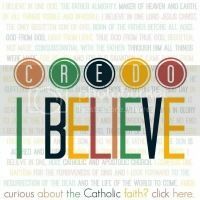 Your kids are so blessed that you celebrate the liturgical feast days with such depth and love Tracy!! 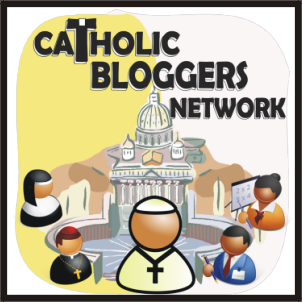 I can't believe that you stumbled onto a St Bernadette parish last night too! I read your fb post. What a 'coincidence!" It seems where ever we travel...now and when I was a kid, we always seemed to find an OLL church! 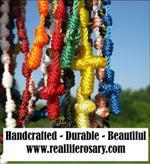 Plus OLL is my "home" parish, where I went to school and rec'd all of my sacraments. I have a great affinity for her. I love this post. Our Lady is absolutely smiling down at you and your family!! 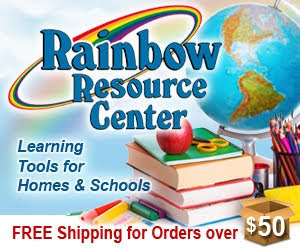 "See" you soon--on fb and the blogosphere! Hi Chris! What a neat connection you have to OLL with her name being your home parish! Thank you for your visits always! Hope your week has been blessed!